God-loving monastics, dear brothers and sisters! Motivated by the best thoughts and deepest feelings of brotherly love and spiritual joy, I greet the faithful children of the Russian Church Abroad, scattered worldwide as God's wheat, with the celebration of the Nativity of Christ. I send my sincere wish from remote Australia that the coming new 2014th year bring rich spiritual fruit for each of us individually and for the entire Church! "Christ is born, give ye glory, Christ cometh from the heavens. Meet ye Him, Christ is on earth, be ye exalted ..."
The Holy Church calls upon us to worthily celebrate the Nativity of Christ. It was not that long ago that in many countries Christians laid aside worldly and earthly cares. Government offices shut down, trade ceased and everyone hurried to God’s churches for festive services during which all prayed and partook of the Holy Mysteries of Christ. After the services many engaged in works of piety, visiting hospitals and prisons, providing substantial assistance to the poor. Philanthropic assistance to the poor and orphaned was inherently characteristic of our ancestors. Not a Feast went by without being accompanied by attention to those that struggle and are heavy laden (Matt 11:28). With the simplicity of the shepherds, let us go to the cave in Bethlehem to worship the living God Who became a living Man. In other words, let us go to church bringing the Infant Christ the gift of warm tears of compunction, a heart enlivened with delight and boundless devotion; and to our neighbors and the needy – benefaction and love. It is time for us, beloved, to bless ourselves with the Cross of Christ — the cross of self-sacrifice and love in the spirit of light filled Christian understanding. It is time for us to improve in all aspects of our lives. Let us contemplate this during these holy days, referred to as "Christmas-tide", and make a firm decision to become better, closer to God and to each other. I take this opportunity with great pleasure to announce the upcoming XIII All-Diaspora Youth Conference to be held in San Francisco from June 27 to July 4 this year. This forum will be devoted to missionary work in the field of philanthropy and will coincide with the 20th anniversary of the glorification of St. John the Wonderworker (Maximovich) by the Russian Church Abroad. 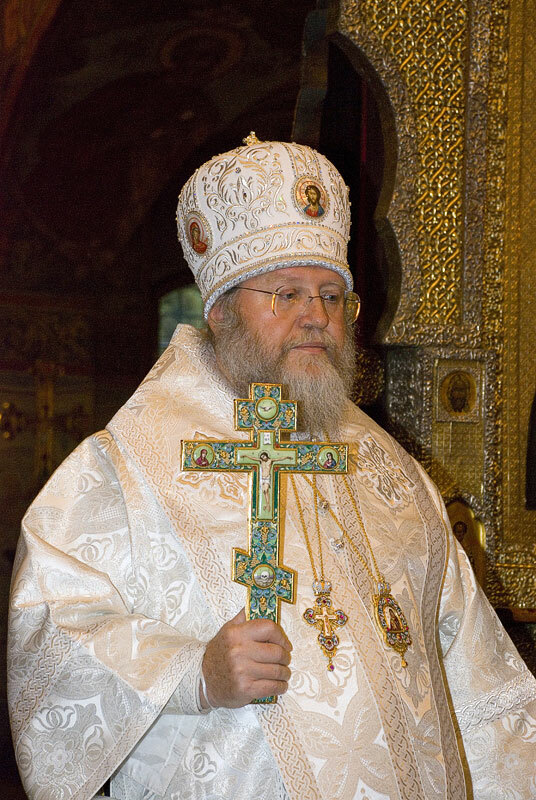 This great hierarch of the Russian diaspora exemplified a life of prayer, a life active in selfless good deeds. On behalf of the Synod of Bishops and Archbishop Kyrill, the ruling bishop of the Western American Diocese, I extend a heartfelt invitation to our clergy and representatives of our youth to this gathering. I hope that this conference called "In the Footsteps of St. John" will spiritually and intellectually enrich all the participants. Concurrent with the Youth Conference a Council of Bishops will be held to discuss the pressing issues of internal Church life and the external ministry of our dear Church. This will also give our Archpastors the opportunity to participate in important discussions with our young people. May these general Church gatherings, for which we prayerfully prepare, vouchsafe us the mercy and blessings from God: inexhaustible heroism, courage, vigilance of spirit, a selfless, captivating and inspiring faith, and other gifts of grace, so necessary in serving the Church, in serving God and people in our complex world. May the coming New Year, beloved Archpastors, pastors, brothers and sisters, be one of Christian renewal of our hearts - a year of spiritual sobriety and ennoblement of our entire life! Let us become genuinely and deeply aware of the necessity of spiritual struggle, dictated by the spirit of life, and concern ourselves with the conscientious fulfillment of all our Christian duties: whether they are personal, family or employment responsibilities, or our duty as Orthodox Christian members of the Church, i.e. performing generous charitable works. May the feast be for us a time of prayer, the strengthening of our internal energies, the refreshment of our soul with Christian ideals, feelings and activities! The annual Mid-America diocesan St Herman's Youth Conference took place on 26-29, 2013 in Rockford, IL. Thirty five young people from all over our diocese took part in the 3-day pilgrimage which offeried lectures, large and small group discussions, service to the community (spending an afternoon at the Rockford Rescue Mission), church singing and reading seminars, and most importantly – Divine Services. 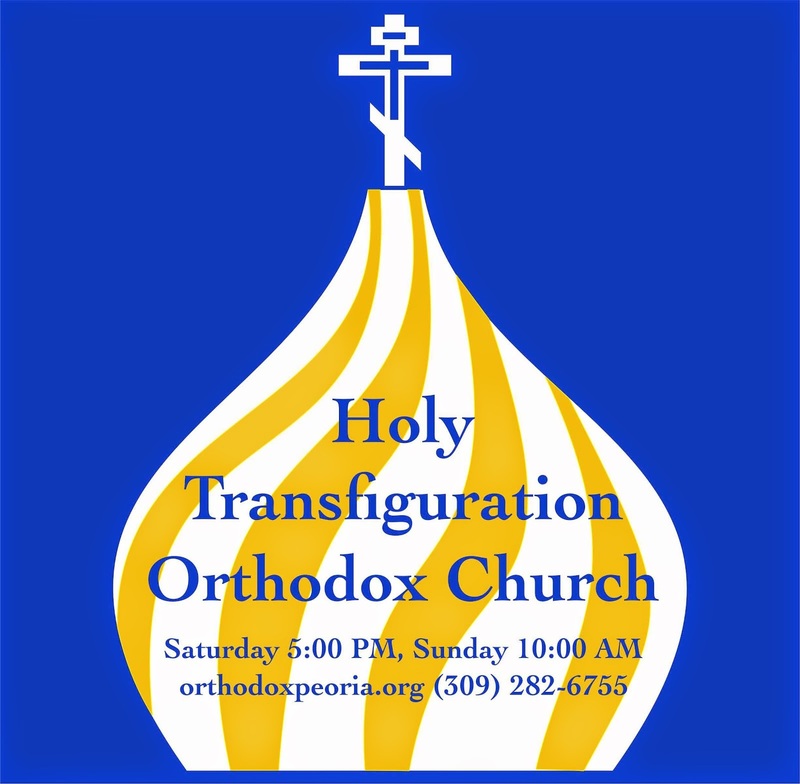 The young people sang and did all the reading at the Vigil and Divine Liturgy which was led by His Grace Bishop Peter at the small parish church on the grounds of the diocesan ORPR summer camp in Lost Lake/Vladimirovo, IL. Following a very tasty and filling Lenten meal, His Grace led a question and answer period with the young people. The pilgrims then departed through freezing rain and snow all returning home safely. As we reflect on the Lives of the Saints and seek to imitate their faith, one of the challenges, especially for we priests, is that the vast majority of Orthodox saints were either martyrs who suffered and died for Christ or were monks and nuns. Very few of our canonized Saints were married men and women who raised families, and even fewer were married priests. How can I, as a priest, lead a holy, Christ-centered life since I have a wife and a family and cannot spend hours each day in daily prayer nor undertake feats of asceticism as many of the saints? One great exception is St. John of Kronstadt, a married Russian priest, who with the exception of St. John Chrysostom, is probably the most popular saint among Orthodox priests. 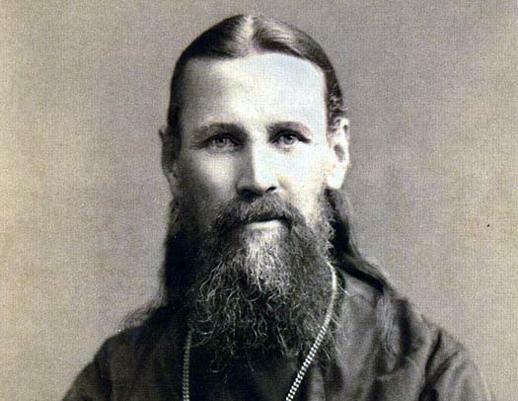 Father John of Kronstadt was born in 1829 in the north of Russia to pious parents, his father Elias the sacristan at the village church. While completing his seminary studies at the St. Petersburg Academy he dreamt of becoming a missionary to the natives of Siberia or Alaska but observing the conditions of society in St. Petersburg he realized that there was much missionary work needed in Russia. He suffered from a long period of depression while at the Academy and later said he was only freed from this darkness by long prayer. As he struggled over which direction to take in life he had a dream in which he saw himself as a priest at St. Andrew’s Cathedral in the city of Kronstadt, which is near St. Petersburg. Graduating from the Academy, he married Elizabeth, the daughter of a priest and was ordained a priest in 1855. Appointed to St. Andrew’s Cathedral in Kronstadt, he was deeply moved when he entered the church for the first time and realized it was the church he had seen in his dream. His relationship to Elizabeth was more the relationship between a brother and sister since he devoted himself to virginity. The city of Kronstadt was the place to which criminals from St. Petersburg were routinely deported and as a port city it was teeming with sailors, unskilled workers working the docks and crowds of homeless people living in shacks and dugouts around the city. It was among these people that Father John began his ministry. Knowing of his generosity, crowds of beggars would flock outside his home and church and became known as Father John’s regiment. Father John at first gave money and food to all who came to him but soon realized this was only temporary help and sometimes harmful to the poor. In 1873 he opened a House of Industry consisting of a number of workshops, a dormitory, a dining area, a health clinic, library, and an elementary school. Here the poor were not simply given hand-outs but were helped to rise out of their poverty by learning a trade and receiving an education. 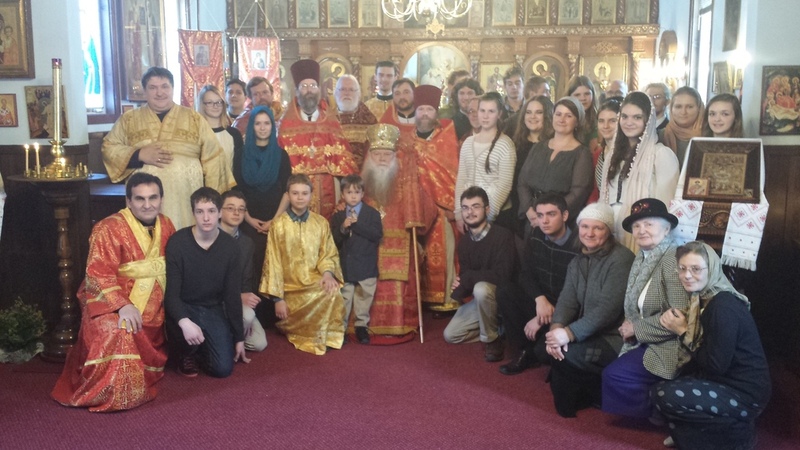 After having celebrated the Divine Liturgy and received Holy Communion, Father John’s face has changed. No longer is there in it even a trace of that fatigue and any kind of grief or sorrow which could have been seen when he first entered the church. An extraordinary spiritual joy, extraordinary peace and heavenly rest, extraordinary strength and power were now reflected in each trace of his features. His face was as if glowing, was as if giving off some sort of light. Father John was ready to once again work without tiring from morning to middle of night, he had supplied himself with a store of strength for all the daily tasks and worries which lay before him. How meagerly you take Communion, and how necessary it is to partake more frequently! Your soul is parched with hunger and thirst for grace. Think of the Samaritan woman and Jesus Christ and know how to seek the living water of grace. What a wonderful thing! I heard people’s confessions yesterday from 4 to 11 p.m., and even though I was a little tired, I went to bed a midnight, and having gotten up at 4:30 a.m., felt brisk and healthy! How good it is to work for the Lord! How He strengthens one – it is marvelous! He was not content with a simple, formal confession, but embarked on an entire education, testing, and examination of the feelings of the soul and of the penitent’s religious knowledge. Sometimes he would spend hours with the penitent and, postponing the absolution, made him return again and again. As the years went by the number of penitents grew tremendously. By the 1890’s so many people flocked to him for Confession that Father John instituted the radical practice of group, public confessions. Accounts of those mass confessions speak of thousands of people crowded into the Cathedral around Father John who weeping would speak to the people and lead the prayers of Confession. The crowd of penitents too would be weeping, screaming, shouting out their sins in repentance, falling prostrate on the floor. It is recorded that such public Confessions would go on for two or more hours. Also by 1890 Father John had acquired a reputation throughout Russia not only as a holy, generous priest but as a miracle worker. In 1883 sixteen people published a letter in a local newspaper thanking God for their healings through the prayers of Father John. From that time on, thousands of the sick and suffering descended on Kronstadt seeking his help in their healing. In his diary and letters that have been preserved, Father John reveals that all in his life was not successful and all were not supportive of his ministry. He speaks of conflicts with his Metropolitan Isidor and the church hierarchy who were suspicious and cautious of his spreading celebrity. He also wrote of jealousy and envy on the part of fellow clergy who were reluctant to allow him to serve in their churches and disagreements with his wife who resented the women who demanded his attention. Predicting the calamity of the coming Russian Revolution of 1917, he was resented by many of the intelligentsia for his increasing number of sermons which warned Russia of a coming terrible judgment of God and the need for repentance. We know his body is somewhere nearby, we feel his presence and miracles still take place here.